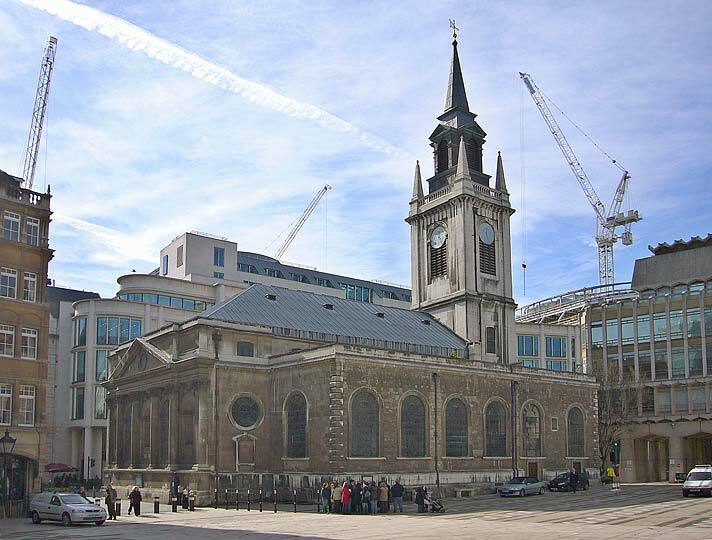 1671-80 by Wren, on the site of a church recorded by c.1190. Restored by Cecil Brown in 1954-7 after it was gutted in 1940. 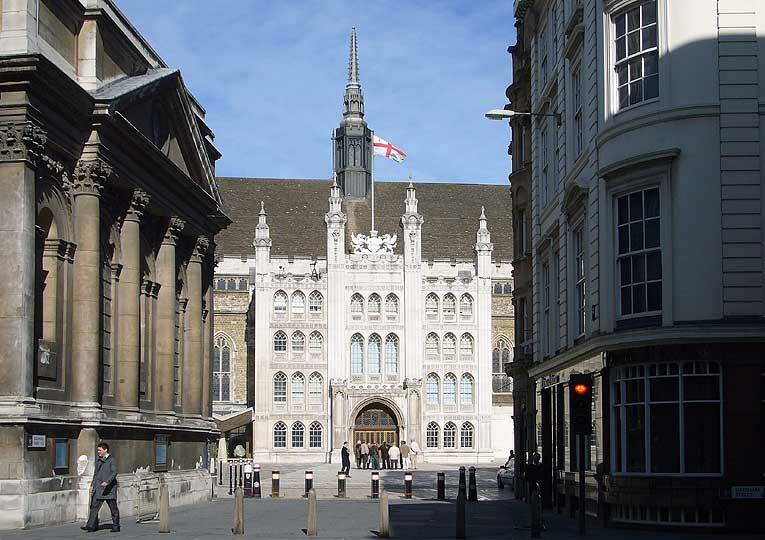 It stands proudly and conspicuously between Gresham Street and the extended Guildhall Yard. ... 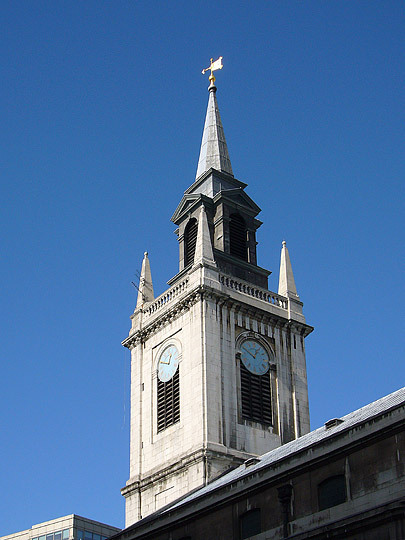 The whole church is stone-faced as befits its isolated site, less common in the C17 than now. 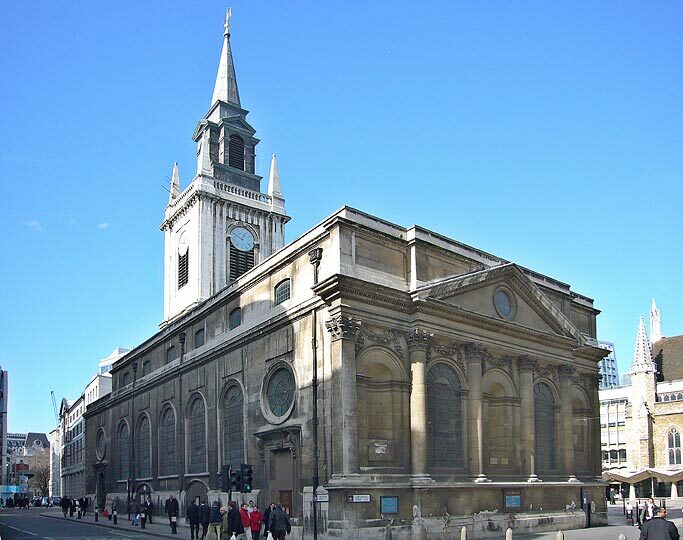 Facing King Street, the newly made processional route to Guildhall, Wren provided a spectacular E front. Four attached Corinthian columns on a podium carry a pediment set against a big attic storey. The flanking bays have Corinthian pilasters at the corners and eloquent arched niches in round-headed surrounds. Similar niche in the centre bay, with large arched windows in the bays to either side. The impost mouldings run across the front between the columns and all five bays have rich carved festoons above. 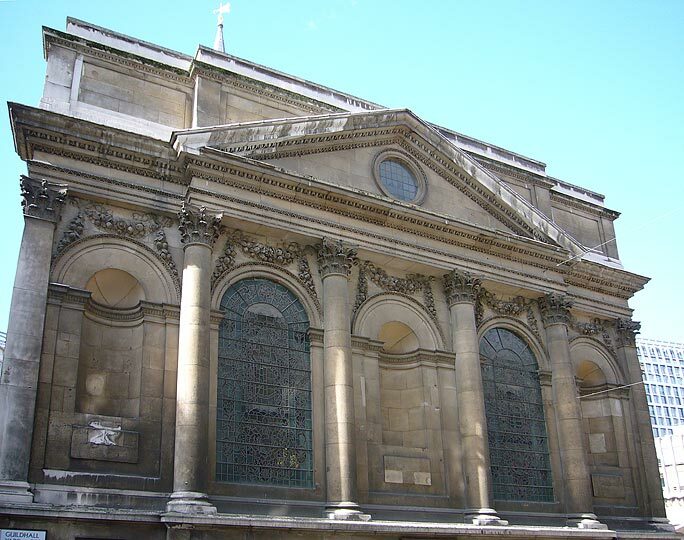 The side towards Gresham Street Street is also treated as a facade: five arched windows in the centre, flanked by straight-headed entrances with circular windows above, the bays unevenly spaced. In the attic small segment-headed windows.